You’ve heard that “all work and no play makes Jack a dull boy”. While it’s fitting to engage in outdoor activities, it’s equally critical to be wary of the threats to health that come with cold, winds and precipitation. Finding the right active coat isn’t easy. To help you out, we’ve searched far and wide, and presented the best tactical softshell jackets we feel will catch your attention. For outdoor lovers, life doesn’t stop just because it’s rainy or cold outside. This doesn’t mean you step out adorned with dowdy casual wear just because you aren’t closing a business deal. In any case, there are plenty of stylish casual wears such as shirt-jackets and jeans pants you can proudly clad on. Whether you’re working or undertaking an outdoor activity in a stormy and wet weather, the UnderArmour Men’s Storm Jacket will serve you just fine. It’s specially built with a soft, smooth and lightweight fabric – a blend of Nylon, Polyester, and Elastane. This water-resistant garment is gentle on your skin and keeps you dry by wicking off sweat. It’s available in multiple shades and sizes for added options to pick from. Are you into skiing? Then you’ve come to the right place. This 5.11 Men’s Sabre tactical ski jacket comes in a fully waterproof, 100% Polyester fabric with a high breathability. It features multiple seam-sealed handwarmer pockets with Quixp side seam zipper for quick access. It also comes with a detachable snap-on hood for added protection against cold weather. The varied sizes and shades available enable this product to meet varied customer needs. Did you know that insufficient clothing during hikes can be life-threatening? Well, this product addresses such hiking concerns. Its 95% Polyester, 5% Spandex material makes is warm, breathable and wind resistant. The jacket comes in a stylish and neatly standing collar design that gives it a cool appearance. This makes it an all-season piece suitable for a wide range of outdoor activities ranging from angling to mountaineering. It’s also available in shades of black, gray and navy, for added options to pick from. This special operations jacket features a 3-layer waterproof shell design that protects you against strong winds while keeping your body warm and dry. It comes with a concealed hood that’s detachable and under armed zippered vents for added cooling. 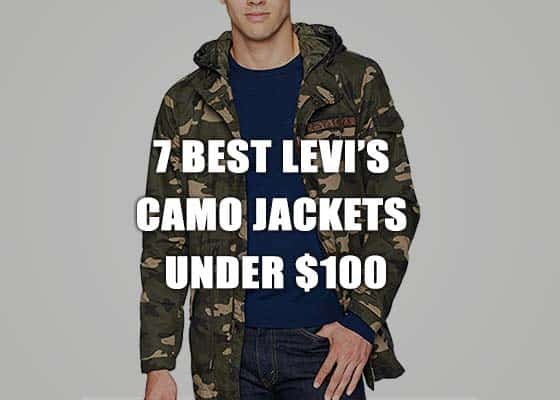 It’s also available in a wide range of shades including military camos and plain colors making it a perfect pick for jungle outdoor activities. Angling isn’t for the faint-hearted. It’s a hard job. Whether it’s in the rain, storm or at night, you need the right attire. The MAGCOMSEN military shell jacket is just what you need. This coat is built with high-quality soft Shark Skin fabric that’s warm, waterproof and breathable. 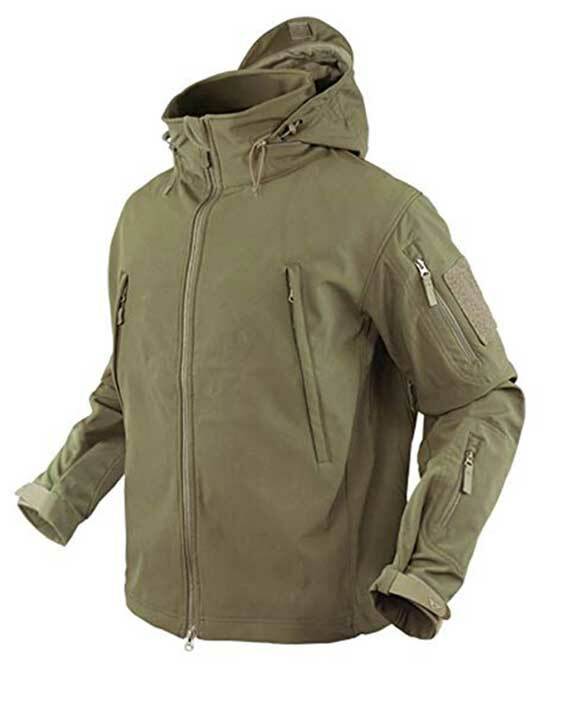 Its lightweight, active-fit design gives it a cool look and makes the best pick for all your tactical coat needs. In addition, it comes with 6 zippered pockets to keep your valuables and outdoor accessories within reach. If you’re looking for a stylish and quality outdoor coat, the Camo Coll Soft Shell Tactical Jacket is all you need to give you the dashing look you deserve. This highly functional jacket is made with windproof and water-resistant material. It features stylishly adjustable cuffs, a drawstring waist and hood for added fitting. With this coat, you’ll be spoilt for choices. Colors range from gray tactical softshell jacket to forest camos and everything in between. In any outdoor activity, you need garments that are flexible, comfortable and that protect you against Mother Nature’s fury. The Condor Soft Shell Jacket is specially built for that. Made with 100% Rayon fabric this coat features a three-layer integrated shell for assured warmth, dry skin, and comfort. Its zippered underarm vents come in handy for added cooling effect. Besides its dapper look, it features plenty of storage pockets for your accessories. Does fitness maniac or duty work man describe who you are? Then this tactical rain jacket is just what you need. Its DINTEX soft shell fabric is water-repellant and lined with fleece making it ideal for use wet and cold weather. Moreover, you don’t have to worry about its durability as it comes with reinforced elbow area to assure many days of service. It also comes with seven security pockets to keep your valuables safe. It’s been said that “we live in a world that has walls and those walls need to be guarded by men with guns”. If you work in the security sector, whether uniformed or private you need this tactical softshell jacket is built with you in mind. Its fitting design allows enough room for ballistic vests and easy withdrawing of holstered arms. Built by leading military and Special Forces uniform makers, this coat is sure to exceed your expectations. The design of a quality softshell jacket features layered sheets of fabrics such as Polyester, Spandex, and Rayon, which provide protection against wind, rain, and cold. This means that the outer shell must be waterproof to protect you from soaking in the rain. On the other, the inner layers should be soft, breathable and absorbent. These qualities help to protect you from overheating whilst keeping your skin dry for added comfort. Above all, a tactical softshell jacket should not inhibit your flexibility and efficiency due to its design. One of the features of a good softshell coat is a lightweight design. This gives you the flexibility to do your activities without hampering your productivity. A good tactical jacket should also fit you well and cover your upper body as much as possible. To achieve this, top brands incorporate fitting designs with a drawstring waist and hood. These hoodies can be fixed or detachable. Due to varying consumer tastes and needs, manufacturers also provide coats with varying shades. These include plain colors and camos. So, if you’re shopping for a tactical winter jacket or a hunting outfit, be sure to check whether you’ve got the right camouflage. As you begin your search, we’ve made things easier for you by searching widely and presenting the best tactical softshell jackets we feel will catch your attention. Sample the following coats from trusted brands and feel free to pick one that suits you.